Almost daily, there are new challenges to face when providing care for an aging parent or other loved one who suffers from any form of dementia. One of the most prevalent challenges in dealing with agitation outbursts is determining their root cause. Senior home care in Orlando has identified five of the most prevalent triggers of agitated behavior and seemingly irrational lashing out by patients dealing with dementia. Becoming aware and in-tune to your loved one’s needs and preferences may help you avoid these often intense and uncomfortable outbursts. Environment – Just as witnessed in infancy, a patient with dementia or Alzheimer’s may not be able to express that they are hot or cold. Your elderly loved one may have difficulty expressing their discomfort not only with room temperature but with the volume in a room, the number of people in a room, familiarity of the people in a room, or discomfort in seating, etc. How they are feeling at that specific time – Might they have a headache, or sinus trouble, or be experiencing pain? Maybe they are tired, overstimulated, or bored? Pain is often overlooked when caring for the elderly when diagnosed with dementia or Alzheimer’s. It is crucial that you are able to identify the source of pain and discuss it with your medical support staff. What is the status of their ability to do things? Are they being asked to do something they are no longer capable of doing? It is truly important to be aware of the changes happening with your aging parent or loved one. What they were able to do yesterday, they might not be able to accomplish today. Sometimes, a simple reminder is all that’s required, and at other times is requires specialized treatment and care. Psychological - Many people who are diagnosed with dementia or Alzheimer’s, etc. will eventually develop depression resulting from the neuro-chemical imbalance in their brain. 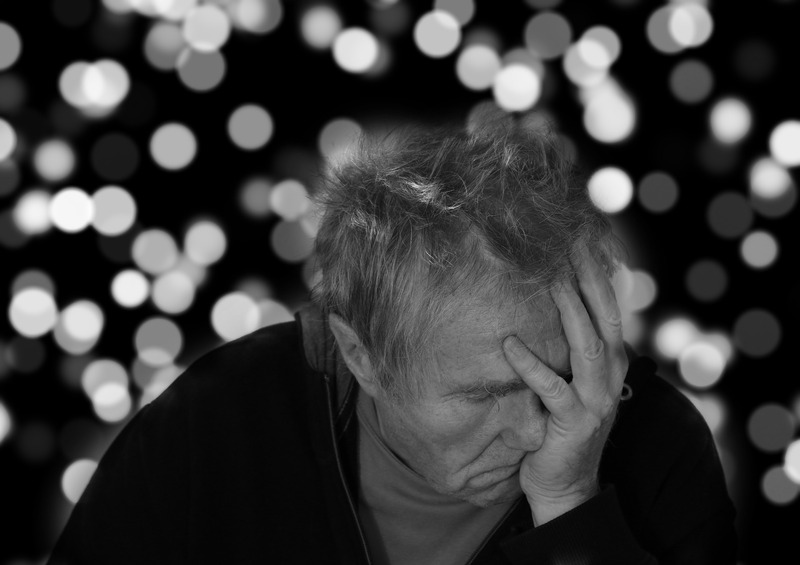 It is not unusual for patients with dementia to have delusions, or pronounced anxiety disorders, as well. Medications to treat depression and anxiety may be effective in treating these specific disorders, especially when diagnosed early. Approach – As a caregiver for your aging parent or elderly loved one, you must develop almost a sixth sense in your ability to assess and accurately respond to the needs of your patient. The ability for them to communicate their needs is going to grow more difficult with each passing day as dementia, Parkinson’s, and Alzheimer’s are all degenerative in nature. The experts at senior home care in Orlando, BrightStar Care, can help you identify the triggers for agitation in your aging loved one and can provide highly-trained personnel to help manage the daily stress associated with trying to keep agitated outbursts to a minimum so that your elderly relative is kept calm and is able to enjoy daily routine. Often, it takes unbiased observations from people outside the family to accurately assess the situation and make professionally-based suggestions in improving the communication between patient and caregiver. Please don’t think you are alone. Contact us online for more information on how BrightStar Care can help, or call us at 407-877-0720 to speak to one of our trained staff members.